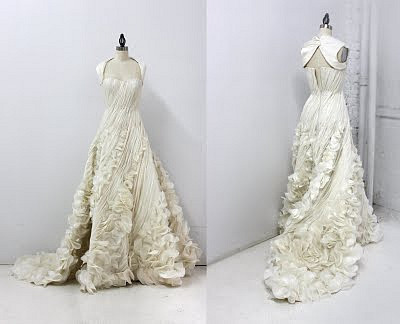 Ruffles Ruffles Ruffles. I am in one of those moods where I want to sew coffee filters together, put on neon eye makeup and my highest stilettos, and then wear them all to the grocery store. 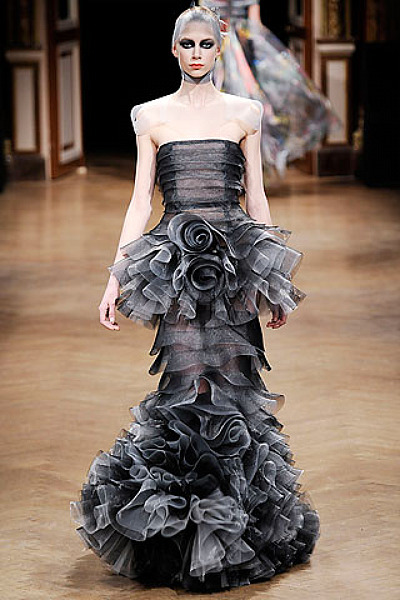 Viktor & Rolf. Undeniably unique. Amazing. Love the clothes, hair, makeup, nail polish, everything. Tahti Syrjala is marvelous. I LOVE the dress Emile De Ravin is wearing! So cute! Um yes, so both Leanne Marshall looks- Yes, please! I know! I LOVE Leanne Marshall! She is the Queen of ruffles! Audrey, yes Emile’s dress is cute, but the guy next to her is cuter! 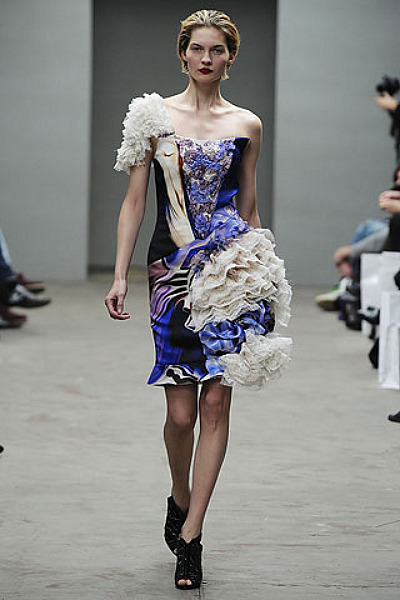 Ruffles are one of my must-haves. I love the first dress! I couldn’t agree more! I just adore that British cutie! Oh my gosh I LOVE Leanne and her dresses, they are amazing and so delicious! 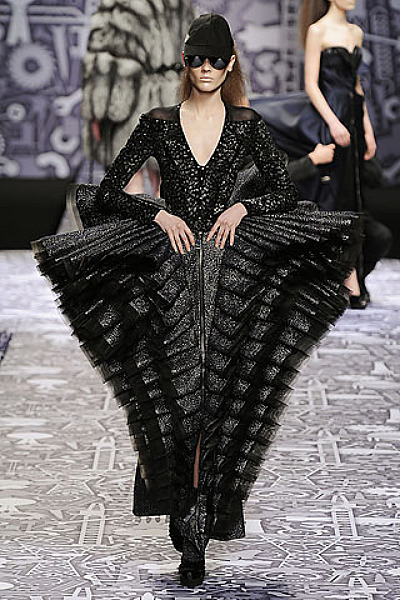 And the last Viktor & Rolf dress is stinkin AWESOME! 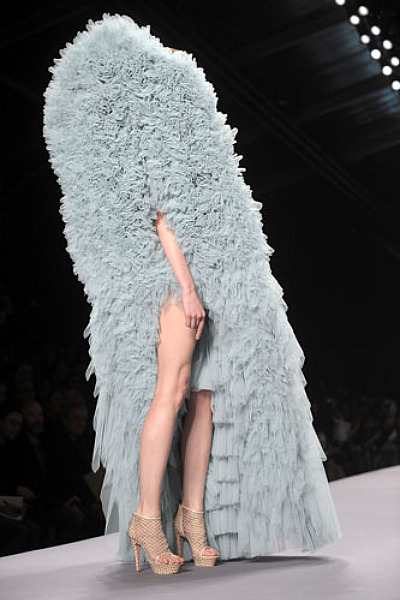 I wish I had an event I could wear that too…it would be epic. “Amazing. Love the clothes, hair, makeup, nail polish, everything. Tahti Syrjala is marvelous.” Soooo you! Yes, I love that photo – I wish my hair was that long!